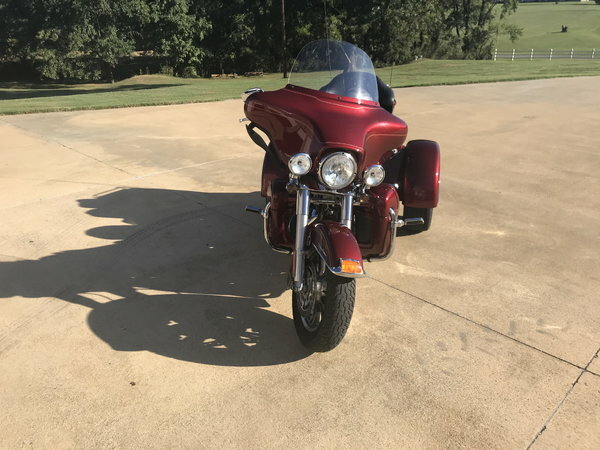 2010 Red Harley Ultra Classic Trike woth 4700 miles on it. In super good condtion, selling because of health reasons. Always garage kept and climate controlled. Selling for $24,500 with helmets with microphones built in for talking to passenger, listen to music etc.